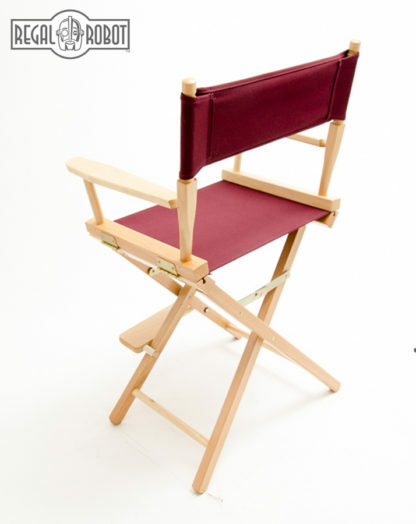 The 24” seat height is our mid-range director’s chair, and very much the classic tall chair look, including a footrest for added comfort. 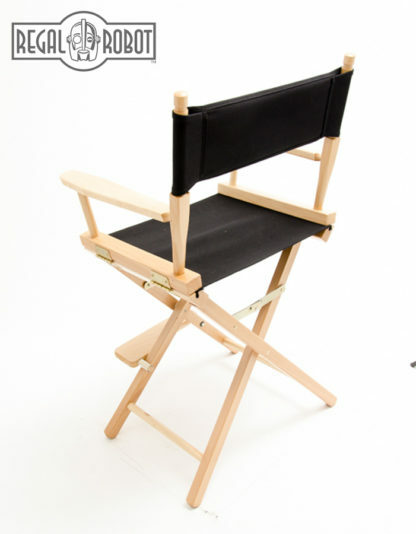 It’s “counter height” and should work with standard counters and counter height tables. Each chair features sleek, straight-line legs with a paddle arm, finished in a low-VOC clear varnish for a natural wood look. 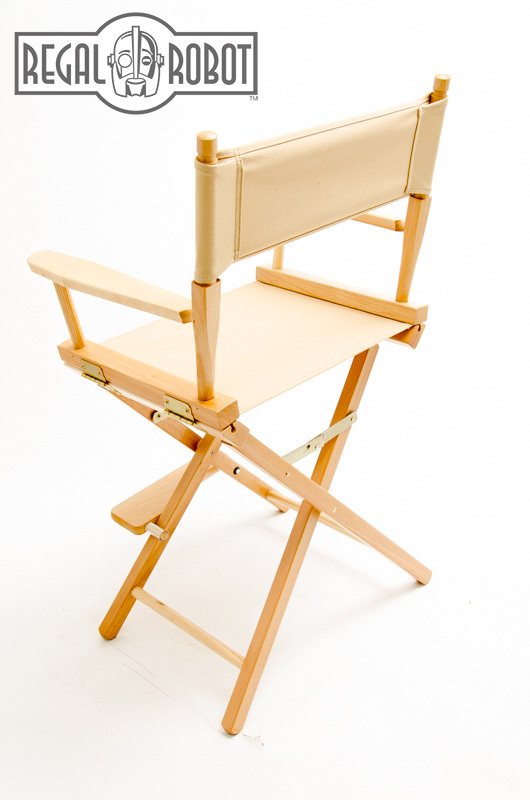 All of our directors chairs are proudly made in the USA from quality American Beech hardwoods. 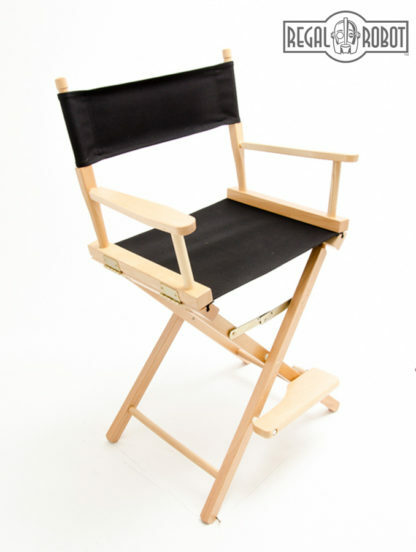 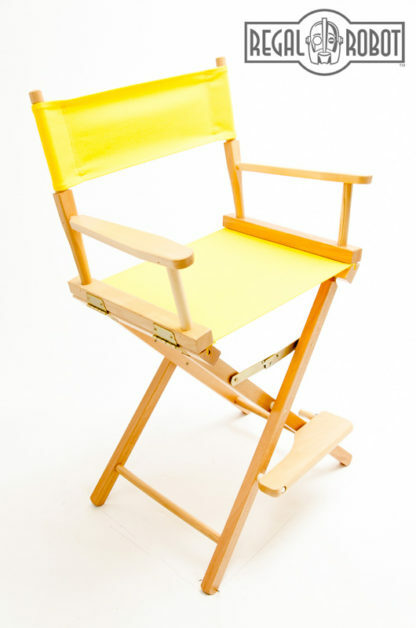 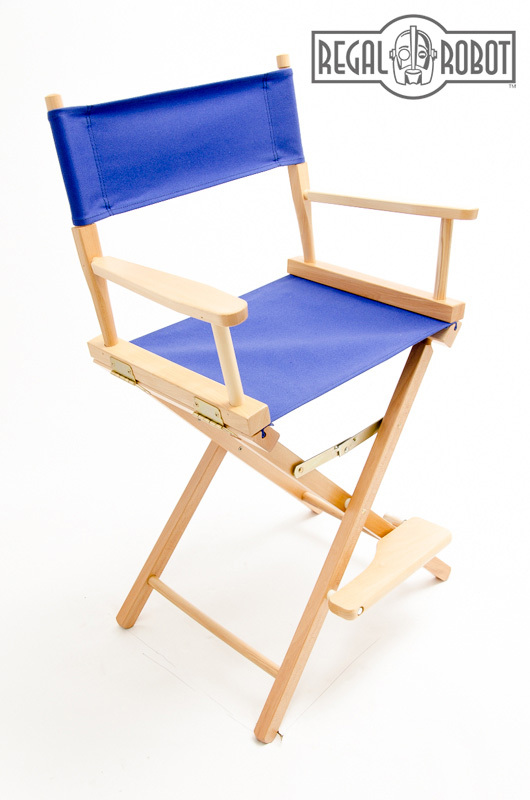 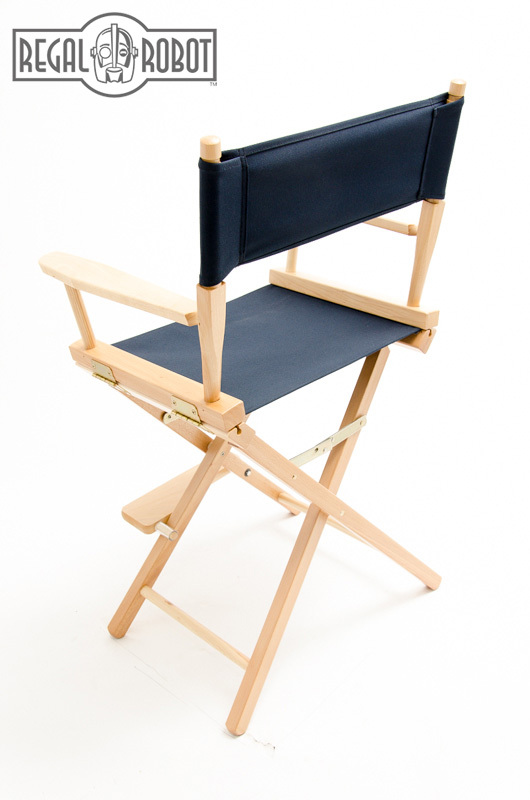 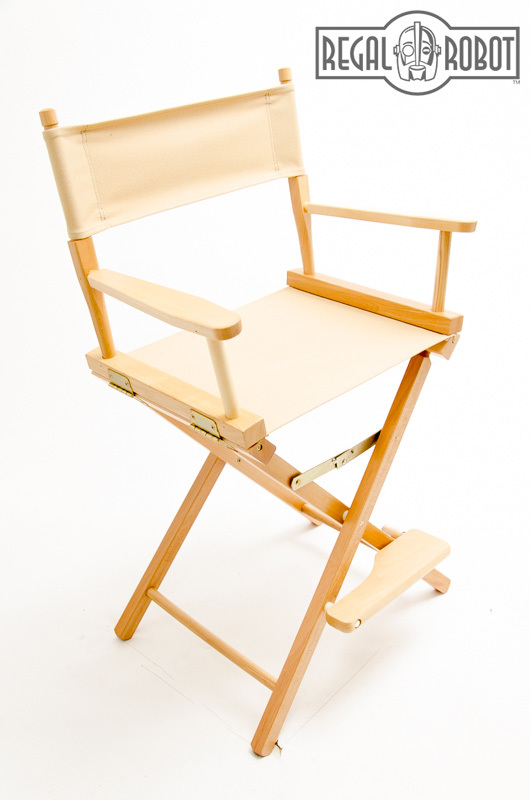 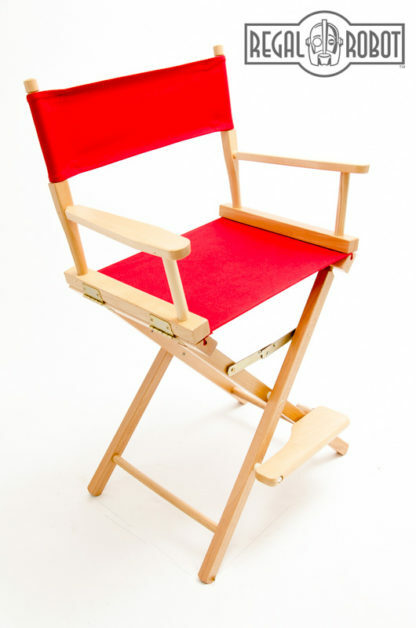 In fact, our manufacturer has been producing directors chairs for more than a century! 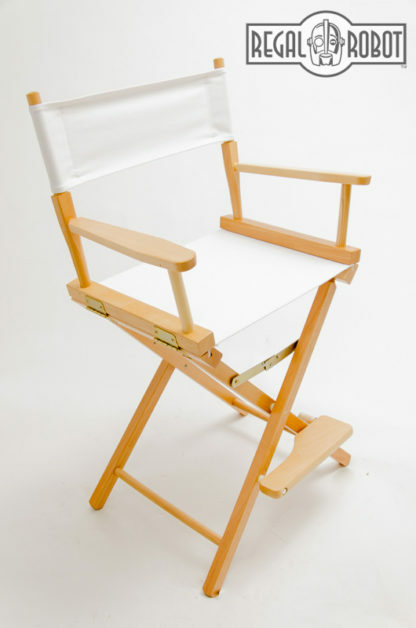 The chairs feature hand-fitted, glued, and steel pinned construction and hinges that make it easy to fold the chair up for moving and transport, or simply to store flat when not in use. 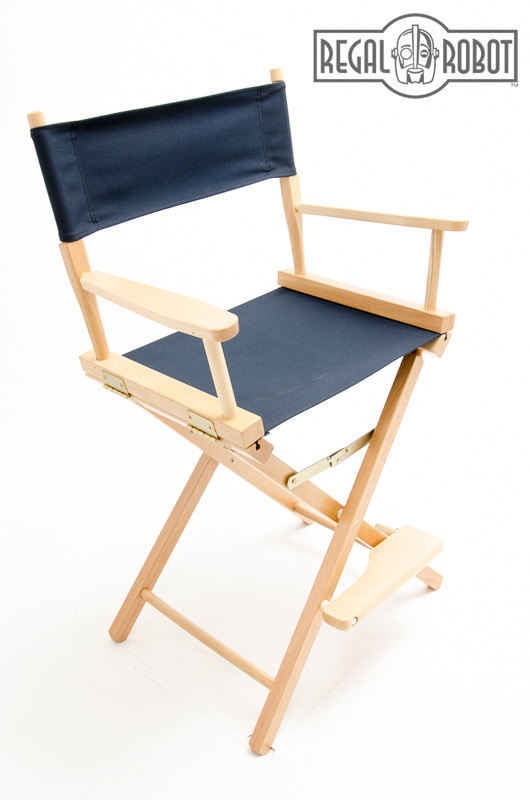 This 24″ seat height (counter height) model includes a footrest for additional comfort.